DRAKESBORO – Sherry Lynn Turner, 53, of Drakesboro, died Friday, 4-19-2013 at Vanderbilt Medical Center in Nashville. She was born December 3, 1959 in Muhlenberg County, was a homemaker and a member of the New Paradise Baptist Church in Greenville. Survivors include her daughter, Sarah Turner of Drakesboro, her mother Louise Turner of Drakesboro, her sister, Debbie Burkeen of Florida, and her half brother, Henry Hill of North Carolina. Graveside funeral services will be held at 11:00 AM Tuesday, April 23, 2013 at the Rose Hill Cemetery in Central City. 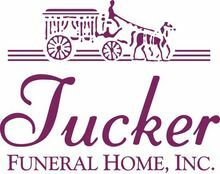 Tucker Funeral Home in Central City is in charge of the Arrangements. The beautiful and interactive Eternal Tribute tells Sherry 's life story the way it deserves to be told in words, pictures and video. 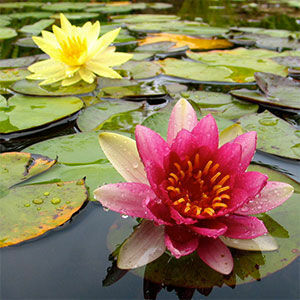 Debbie, we are so sorry for your loss, do not understand things but know you have friends that love & care for you! My thoughts and prayers are with your family for comfort and peace. I loved your sweet, kind spirit. Families are forever. Love you. We are so sorry to hear of your loss. Sherry was such a sweet person...always a friendly smile when we saw her. Our prayers go to all the family...remember the good times. Love you all! My heart is broken. We come to love Sherry when she came to McDonald's with her Mother and Dad and brought baby "Sarah". So many fell in love with Sarah and Sherry was always so sweet to let us all see her. I am so sorry for Sarah and Louise and the rest of the family. My pray is that God will grant you some peace and comfort in the days and months ahead. Sherry was a precious and sweet person that touched our heart. I am so sorry to hear about Sherry. We were cheerleaders for DHS. We graduated in 1977. My sweet dear friend, although we lost touch over the years Rodney and I often thought of you. I loved it when I would see you out with your mom and the talks we would have . May God bless all the family at this difficult time, you will be dearly missed sweet Sherry..